You may notice it in the bathroom, above the shower, or on your windows alongside the panes of glass. Anywhere moisture can get trapped under paint, peeling paint will result. Windows and mirrors sweat. Bathrooms and kitchens retain more humidity than other areas of the house. When wood absorbs moisture, it expands and crumbles, allowing the primer and paint on top to lose their grip. Aging paint or improperly prepared paint can easily lose integrity. Even some preventative measures can fail, such as caulking, which can lose its elasticity and allow seepage. While not all peeling can be avoided, it can be delayed and prevented with proper preparation and maintenance. Make sure the area you want to paint is clean, particularly in kitchens where greasy cooking film can build up on walls. Also, prepare properly with scraping, sanding, and priming with a good interior primer. Start with a high quality paint that is designed to last. If you are painting on bare wood, be sure to use a primer. Paint two coats for depth, rich color values, and coverage. If you find peeling paint, look for the reason. Uncaulked windows, poor ventilation, roof leaks, and foundation issues all contribute moisture which loosens paint. Make sure you’re using the correct type of paint to cover old paint. For example, many oil-based paints have been replaced by latex paints that may require a coat of primer. Make repairs to your home to prevent peeling paint. All bathrooms should have an exhaust fan in the ceiling to help dispel moisture accumulation. Make sure that all windows are caulked between the frame and the glass. Caulk quarter round between the floor and bottom edge and again between the upper edge and the wall so that moisture from cleaning products doesn’t gravitate behind walls. Inspect tubs and showers frequently to see if the caulk is holding up between the walls and fixtures. Peel off weak caulk, and recaulk. If you don’t have a ceiling vent, install one. It can lift moisture up and away from vulnerable areas such as window sills, sinks, and showers. 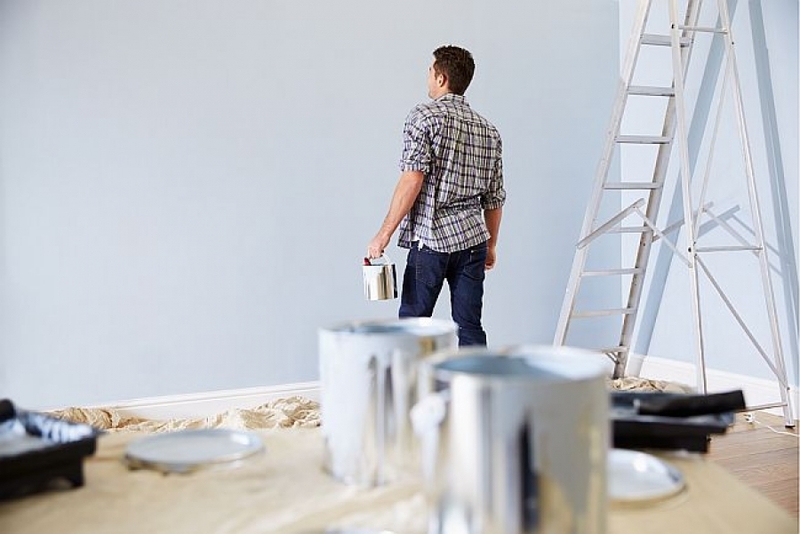 If you’re planning to paint a room or two yourself, ask your professional paint salesperson for advice on the best products to use for every room in your home.